HOUSTON -- A 26-year-old woman was arrested after she allegedly left four young children alone so she could go get a cigarette from a friend's house. 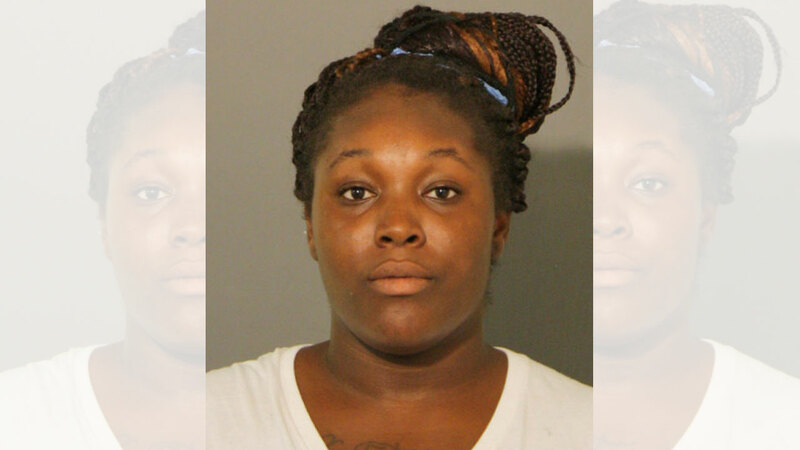 Brittany La Shay Florence is charged with Felony Child Endangerment. According to the Harris County Pct. 8 Constable's Office, deputies were patrolling in the 1100 block of Seafoam in the Clear Lake area late Monday night and spotted two toddlers roaming the front yard. The officers noticed the front door of their house was open so they stopped to check on the children. Officers tried to get a hold of an adult inside the house but instead found two other children asleep on the living room floor. All of the children were between one and four years old. Florence returned to the home about 10 minutes later and told deputies she was gone for only a minute to grab a cigarette from a friend's house and had asked a neighbor to look after her children. However, deputies estimate Florence was gone for at least 30 minutes, and the neighbor, with whom she claimed to have left the children, said she was never asked to look after them. Deputies say the home was full of deplorable and unsafe conditions. It had almost no lighting, was full of food discarded on the floor and even had old urine and feces in a toilet. Officers also found sharp objects and medications within reach of the children. As a result, Florence was arrested and taken to the Harris County Jail, where she is being held on a $2,000 bond. Meanwhile, the children were released to a family member. Children's Protective Services is investigating this case.